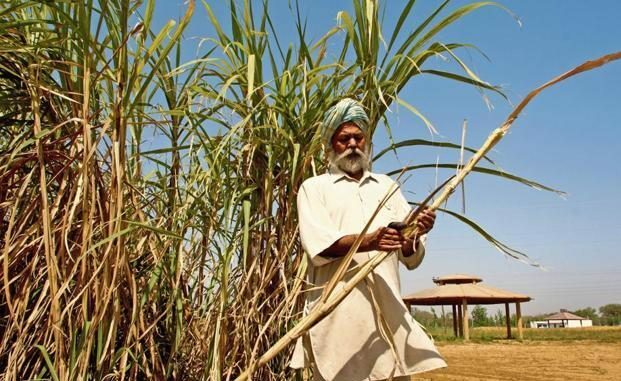 India may have found a fix to its sugar problem but the answer will not make its cane farmers happy. But, an infestation of white grubs in Maharashtra, India’s second-biggest sugar producing state, and neighbouring Karnataka, the third-largest producer, could mean sugar output for the 2018/19 crop year will be 9 per cent less than earlier estimates. While the lower output could reduce India’s 10 million tonnes of sugar inventories, the grubs that feed on the roots of cane plants can only be eradicated by pulling out the crop, leaving the field fallow and then replanting, adding to the stress of farmers already dealing with meagre harvests. Salunkhe may only harvest 20 tonnes of cane in the 2018/19 marketing season that started on Oct. 1, down from 140 tonnes a year earlier. His entire 2.5-acre (1 hectare) farm in the village of Wadal, about 400 km (249 miles) southeast of Mumbai has been affected. The June to September monsoon provided 23 percent less rainfall than normal this year, according to state government data. India’s biggest sugar producing state, Uttar Pradesh, also received slightly less rainfall than normal but the grubs have not infested crops there. The National Federation of Cooperative Sugar Factories Ltd (NFCSF), the trade association for cooperative sugar mills that operate 50 per cent of the country’s processing capacity, has lowered its production forecast for the 2018/19 crop year to 32.4 million tonnes, including 9.7 million tonnes for Maharashtra. India’s raw sugar exports are seen hitting over 10-year highs in 2018-19. Sporadic pest infestations have been reported in the past on a smaller scale, but the current outbreak is for the first time so widespread that it will impact overall sugar production, said B B Thombare, president of the Western India Sugar Mills Association. In June to July, white grub worms remain small enough to be killed with pesticides, but they are now fully grown and can survive underground even after different pesticides have been applied, said R G Yadav, an entomologist at Vasantdada Sugar Institute, a research body in Pune, Maharashtra. India’s mills signed deals earlier this month to export raw sugar for the first time in three years after securing government subsidies designed to cut the inventory buildup.